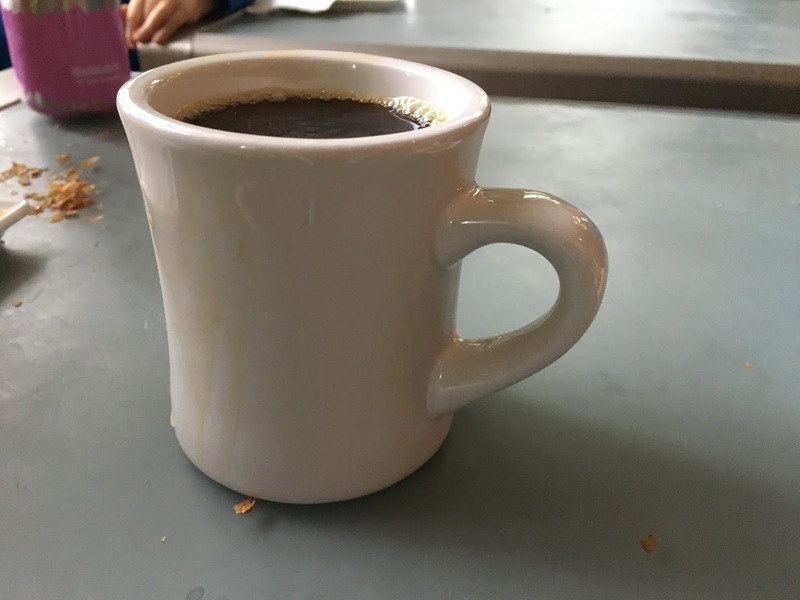 It started out great enough: croissants and pourover coffee at B2 – Bellano Coffee at San Pedro Square. The weather was cloudy and it was nice and quiet. The kids even behaved long enough for me to drink almost half my coffee. Kids behaving. Wish my dog was that cool. 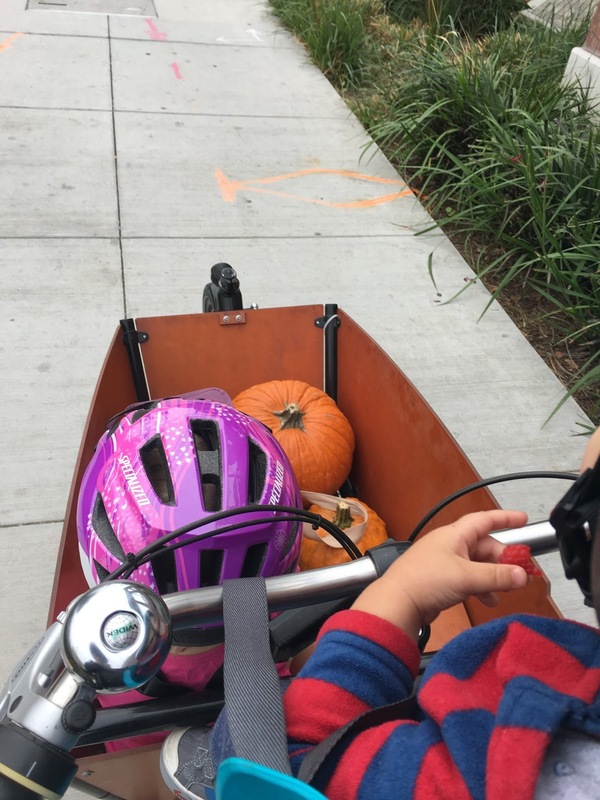 Everyone was so good we stopped at the market and bought a couple pumpkins. Then, we met Pokey McStaple somewhere on one of San Jose’s less-than-pristine streets. Got a mighty wobble in the back and pulled over. Wife to the rescue with the car to switch the kids for my tools–we offloaded the kids and other cargo and I walked/lightly rode home (by way off a stop at the LBS that wasn’t set up to service a Dutch Party Barge). 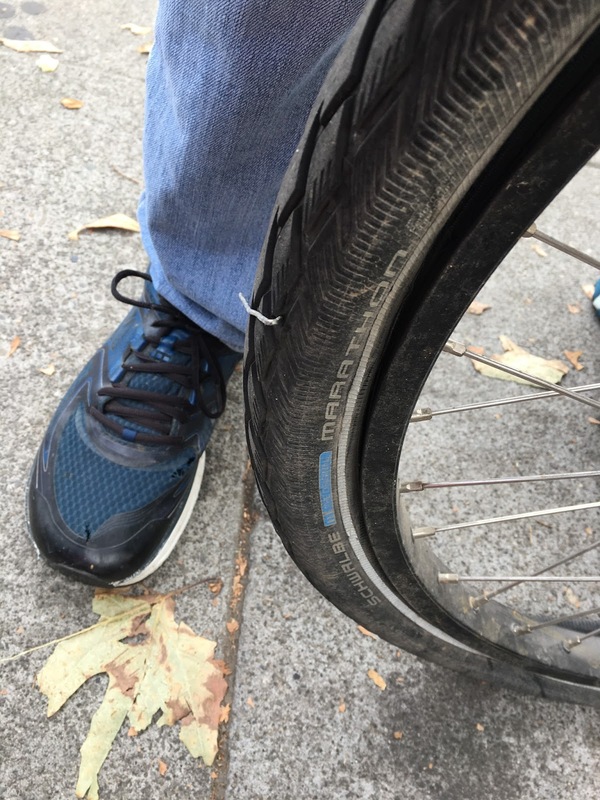 NextFAQ: Oh no, what if I get a flat tire on my cargo bike?